Choo-choo! Thread the train and carriages together, throw in some coal and watch this train come to life. 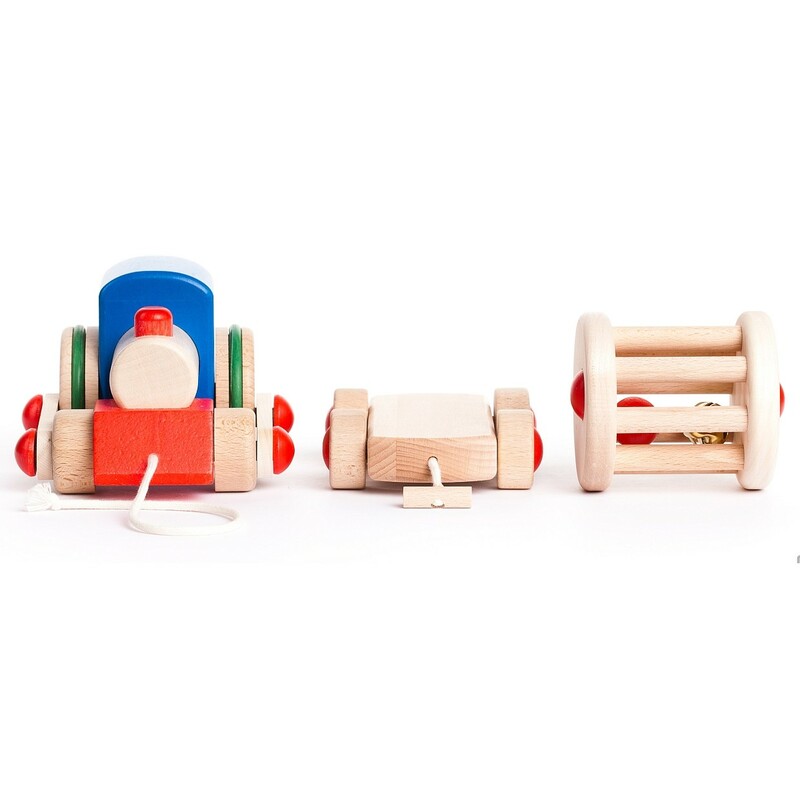 As your child pulls the train along, the engine will move independently and the bell and ball will roll around in the cargo carriage. This is a great toy train that will captivate toddlers as they take it apart and reconfigure it. 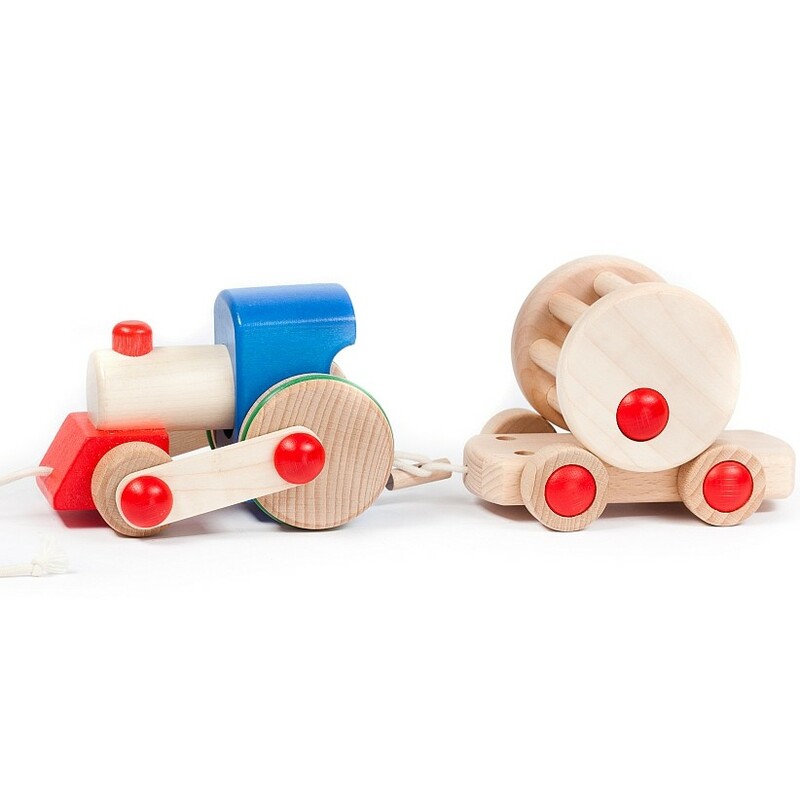 Made from solid wood, this wooden toy train is great for playing with alone or with friends. 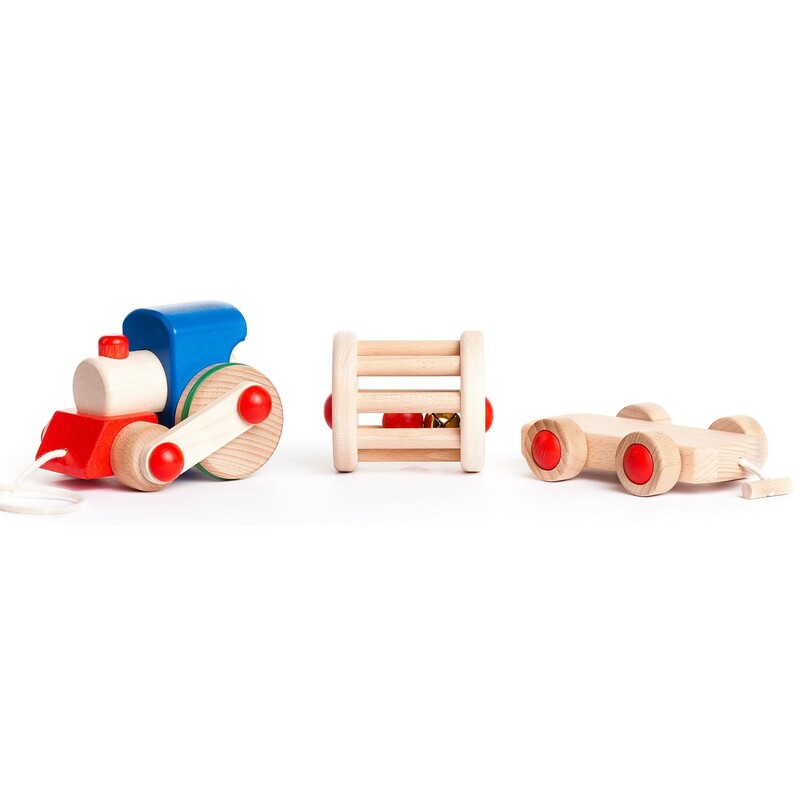 This fun classic toy will be a hit with transport-mad tots. 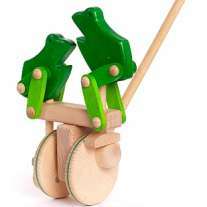 This toy measures 26cm x 11cm x 9.5cm.